Dream Big? Even Bigger? How About Lifesize? 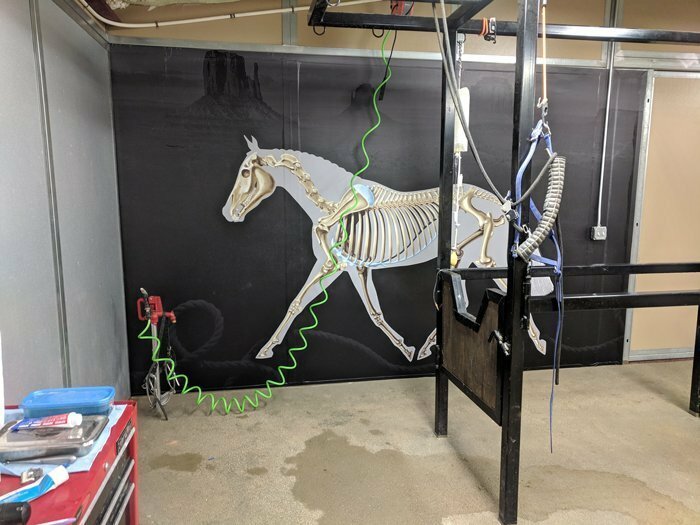 I was beyond excited when Dr Justin Gardner, DVM from LB Equine Sports Medicine and Lameness sent these photos of the completed installation of the new veterinary wall art that is now in his Utah based equine clinic. 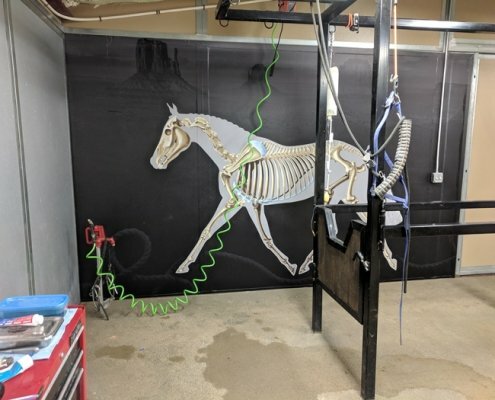 Equine anatomy and lameness issues can be complicated and hard to understand. 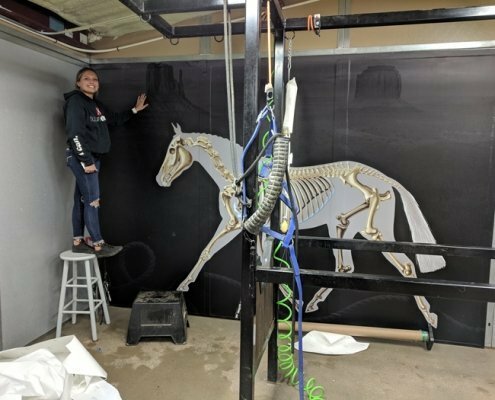 While the equine patients may not appreciate the strange looking horse on the wall, the clients surely will. 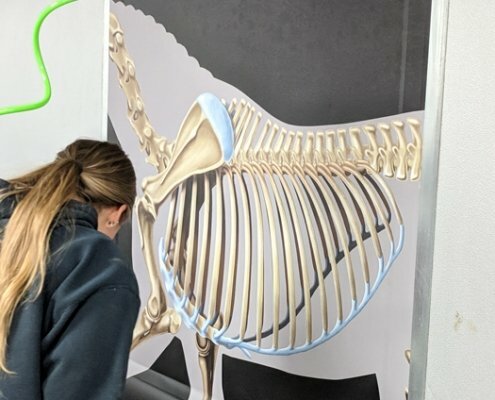 Especially when they are able to see a lifesize anatomical reference while their horses are undergoing diagnostics and treatment. 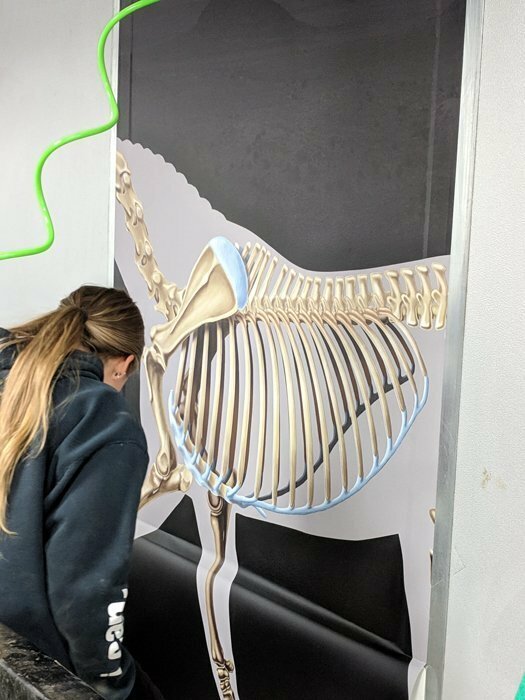 The vinyl wall print was generated by N-Style Design and they did a great job of preserving the color and detail of the illustration. We’ve Hit the Wall… Where Do We Go From Here? This wasn’t the first request I have received to print this illustration in a large format, but it was the first time I decided to give it a try. To be honest, initially, I wasn’t sure how well this illustration was going to print at this size. 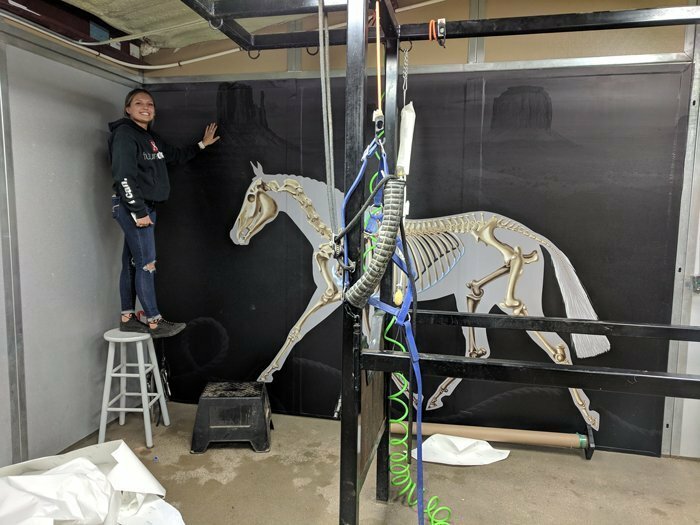 Now that I have seen the results of this large format print, I will be more open to different applications for my illustrations – perhaps a vehicle wrap for a travelling veterinarian or veterinary chiropractor? In short, if you have a blank wall staring at you that needs some visual interest, or perhaps your company vehicle needs a new look, check out the illustrations that are currently available.